We’d love your help. 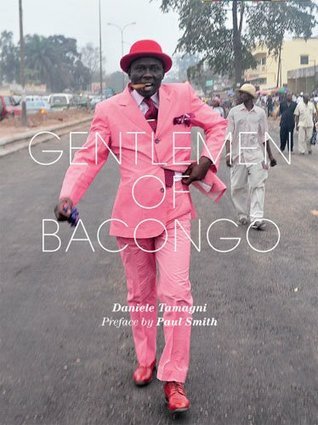 Let us know what’s wrong with this preview of Gentlemen of Bacongo by Daniele Tamagni. Each Sapeur has his own repertoire of gestures that distinguishes him from the others. They are also after their own great dream: to travel to Paris and return to Bacongo as lords of elegance." To ask other readers questions about Gentlemen of Bacongo, please sign up. Recommends it for: For people interested in Africa… but also for people interested in fashion! 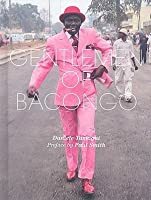 This colourful book takes you to the streets of Bacongo, a district area in Brazzaville where the elegant sapeurs show off their suits with style and a touch of extravagance. They belong to a very important club: The Société des Ambianceurs et des Personnes Élégantes (The society for the advancement of people of elegance) which now has among its adepts also a few women. This movement started when in the 70’s the first Congolese people, who had migrated to Europe, came back to Congo with designer This colourful book takes you to the streets of Bacongo, a district area in Brazzaville where the elegant sapeurs show off their suits with style and a touch of extravagance. They belong to a very important club: The Société des Ambianceurs et des Personnes Élégantes (The society for the advancement of people of elegance) which now has among its adepts also a few women. This movement started when in the 70’s the first Congolese people, who had migrated to Europe, came back to Congo with designer clothes. Many were fascinated with French fashion and started to emulate the French style, reinterpreting it according to their particular taste… The cult of elegance which has emerged from it appears in all his glory in the pages of this photographic book. The sapeurs parade on the animated catwalks of the streets of Bacongo wearing kilts or pinstripe suits. They pose with unlighted cigars while children stare at them… with little markets and hanging clothes in the background. The contrast between the setting and the clothes of the sapeurs portrayed on this book will impress you for sure. What I loved most is how Davide Tamagni managed to capture this contrast without irony, but providing us a glimpse of the lives of the serious and proud sapeurs of Bacongo… they might appear frivolous like fashion can be, inspiring like art definitely is, funny like caricatures are but certanly worth to be admired in their multi-coloured outfits. If you are interested in knowing more, I highly recommend also the chapter dedicated to “les sapeurs” on Michela Wrong’s “In The Footsteps of Mr. Kurtz”. I picked up this book in an airport bookshop. It provides a fascinating view into the Sapeur sub-culture in the Congo. In a time where most books about Africa / Africans tends to be about war and corruption -- makes this book all the more important, and a delightful read (in addition to some great photographs). "The white man may have invented clothes, but we turned it into an art.” That about sums it up right there. This book is filled with vibrant and colorful men that pop out of the page to inject flair into their otherwise squalid surroundings. La Sape is a fascinating subculture and I can’t get enough of it. The little that we do hear about Africa is generally about some combination of violence, illness, and/or poaching, while this book profiles Sape culture (Society for the advancement of people of elegance), primarily in Bacongo, Congo. Aside from stunning portraits of a community that was totally unfamiliar and fascinating to me, it was wonderful for me read a story about a part of life in Africa that that relates to faith, ethics, and community, and which is also about a celebratory identity. This is mostly a story told in photos, beautiful photos of men (and women) who dress elegantly in a society of chaos. Some of my favorite photos contrast these together. The book also highlights a few men and their motivations. It also details where the beginning of Sapre began and how it has evolved. It is just beautiful. If I could write another thesis in Sociology, by goodness, this would be the topic. Beautiful pictures. Needed a better translation and would have been better as a coffee table book. Very interesting information, though. Great, fullpage pictures. I wish there had been a little more text. I wanted to know more about each of the gentlemen profiled.